Blue and white, espadrilles, warm breeze, flowers, sunshine and stripes...just a few things that come to mind when we think of Spring! It is finally that amazing time of the year where everything is coming back to life...flowers are blooming, trees are turning green, and the people around you have an new energy about them! Just like red and green during the holidays, there's nothing more classic than a blue and white stripe for the spring and summer. During Spring and Summer months, stripes become a neutral than can be mixed and matched with different patterns and fabrics to create the ultimate warm weather look. 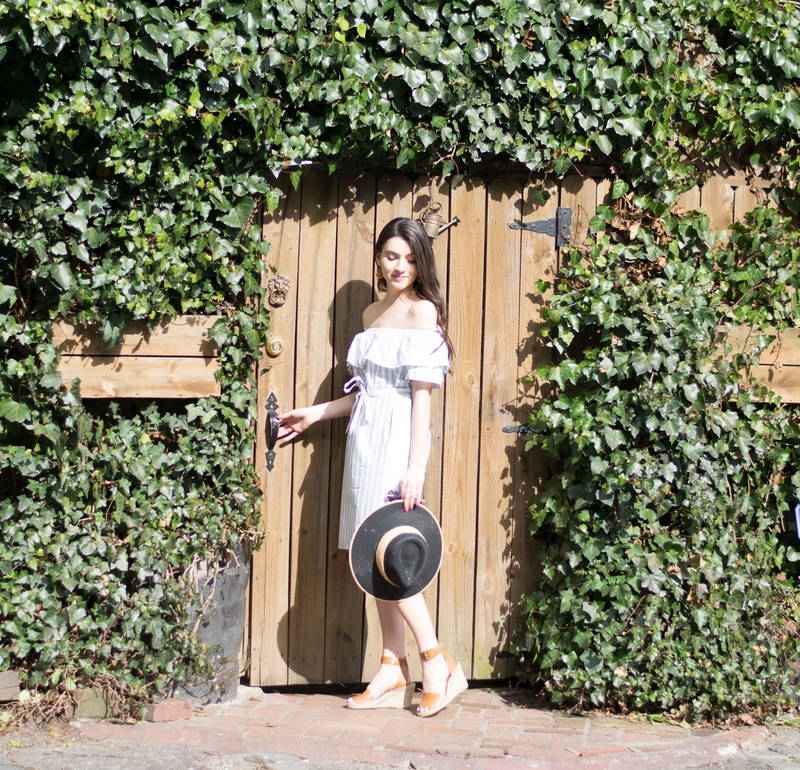 With the warm weather comes more and more social events (we're not complaining) and of course more outfits to plan! 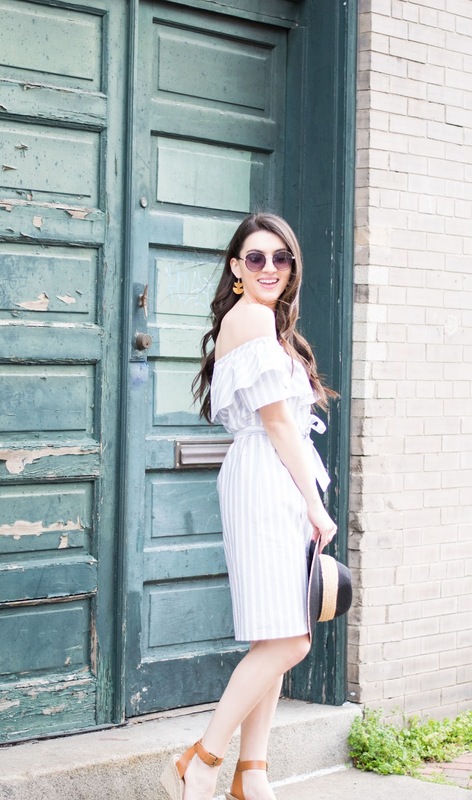 We are all about those pieces of clothing that are instant looks - like this striped off the shoulder dress! Throw it on with a pair of cute wedges and you're ready for drinks on the rooftop or diner al fresco. We're loving the simple bow tie on this dress to add a bit of definition to the otherwise shift style dress. But if you like to accessories, don't worry, we have you covered! 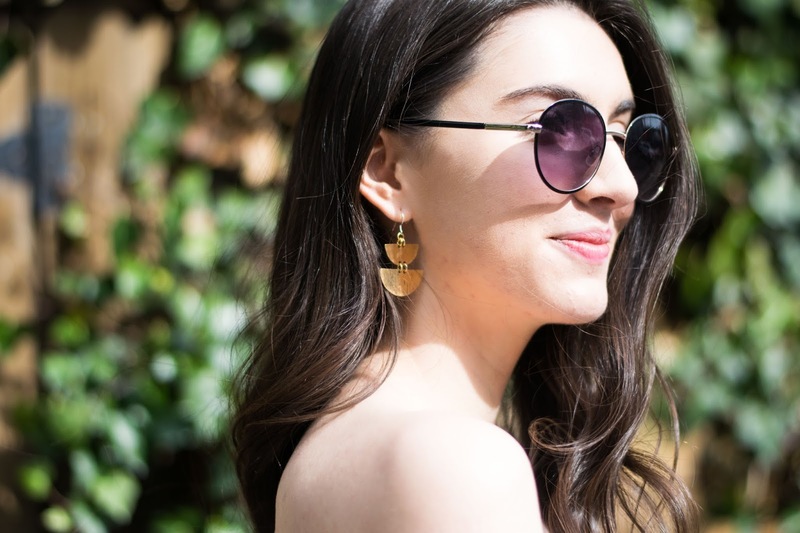 There's nothing like the perfect gold statement earring to add a touch of glam to your outfit. We are loving these MLKNHNY tiered earring - just enough shine for a simple outfit like this one. 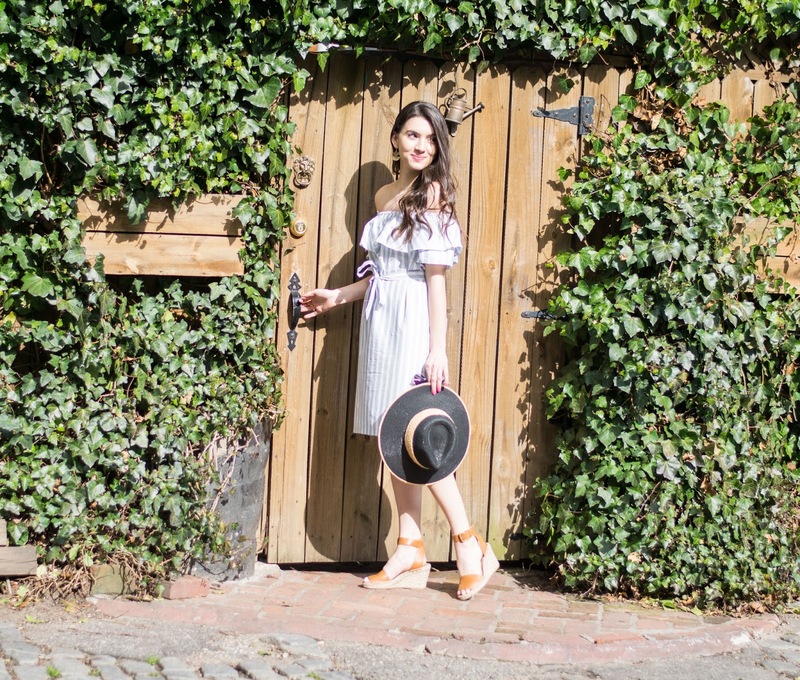 Grab some sunnies and a hat and you're ready to go! We have been adding tons of new arrivals that are perfect for the upcoming spring and summer months - including some other great striped options! Check out our new arrivals page!